This is Kiev’s Mother Motherland statue (Rodina-mat), one of a series of statues erected by the old Soviet Union to commemorate their victory in what was known there as the Great Patriotic War – which many people might know better as the Eastern Front of World War II. This statue is an absolutely massive 102 metres tall (although 40 metres of that is actually plinth). However at 62 metres its still flippin’ huge, and the statue itself supposedly weighs something approaching half a million kilos. I found a photo on flickr which begins to give you an idea of scale, and also clearly demonstrates that the Soviet Union appears to have been engaging in a certain form of flattery. For those of you still paying attention, her plinth is 7 metres taller but she’s actually 16 metres shorter, meaning that Kiev’s Mother Motherland wins in terms of height if not in recognition. it was sure different and new to read about the russian monument. it was different from the conventional entry in general blogs . although , the communist regime suppressed art and culture as decadent bourgeoisie cultural forms , it’s heartening to know that culture still lives on in russia. Your opinion is based on cold war propaganda. You have no idea about real Russia or Ukraine. Oksana, I actually said “a certain form of flattery” – alluding to the phrase “imitation is the sincerest form of flattery”. Any suggestion that the designers of Mother Motherland had never seen the Statue of Liberty is ridiculous. Furthermore, nobody could possibly deny their similarities, and the fact that Liberty is nearly a hundred years older shouldn’t even need mentioned. Does it mean that any big female statue with raised hands is imitation of the Statue of Liberty? Does it mean that it was no big statues before the Statue of Liberty? Are you sure that the Statue Of Liberty has the same composition? 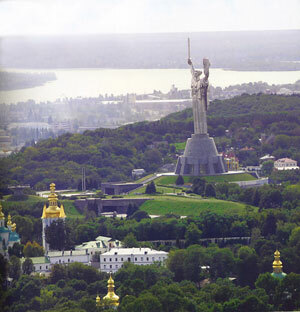 And finally… Kiev’s Mother Motherland statue is dedicated to Russia-Ukraine’s losses in World War II. I would like to remind that Russia and Ukraine lost more than 20 000 000 lifes in this war (United States lost about 300 000 lifes). Almost every family in Russia is touched by this war. So please respect our feelings when you talk about this sensative subject. 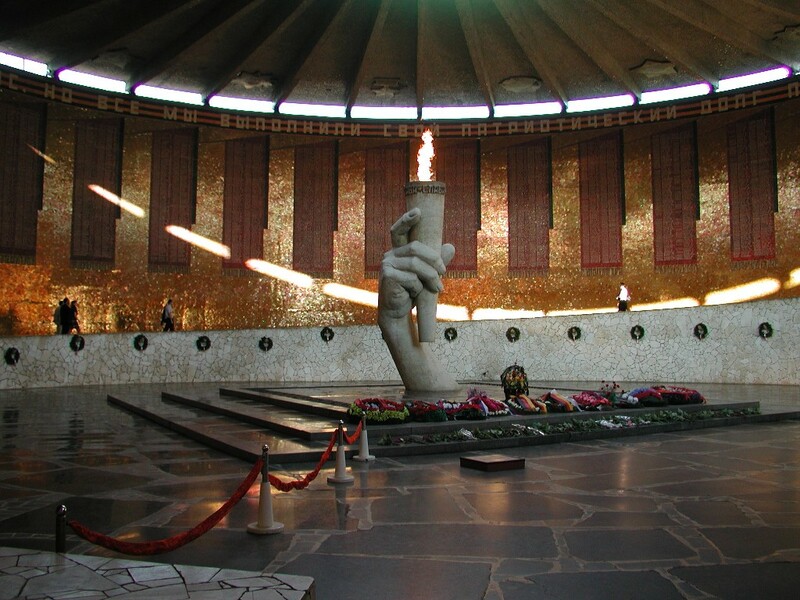 If you investigate the site of the OTHER statue listed (the one titled “Mother Motherland is Calling” or “Rodina Mat’ Zovyot!”), you will notice that within the plinth, there is an arm holding up an eternal flame. http://www.ineer.org/ISCMeet/2004-09-19-017.jpg This is yet another similarity to the Statue of Liberty, on a separate statue within the same series. Like it or not, these statues hold a great deal of similarity to the one celebrating the centennial of the independence of the United States of America. Thank you. Maybe it’s just me, but I don’t really see much of a resemblance. Other than it’s a female statue. ‘Cuz if it is, then eew. Thanks Michael, This is really important to know. While on a visit to Egypt that was to shift his artistic perspective from simply grand to colossal, Bartholdi was inspired by the project of the Suez Canal which was being undertaken by Count Ferdinand de Lesseps, who later became a lifelong friend of his. He envisioned a giant lighthouse standing at the entrance to the canal and drew plans for it. It would be patterned after the Roman goddess Libertas, modified to resemble a robed Egyptian peasant, a fallaha, with light beaming out from both a headband and a torch thrust dramatically upward into the skies. Bartholdi presented his plans to the Egyptian Khediev, Isma’il Pasha, in 1867 and, with revisions, again in 1869, but the project was never commissioned because of financial issues the country was going through. The update image has a really neat shadow.